Please find below the neighbourhood map which shows the school’s designated neighbourhood area. – Students with a sibling at the same permanent address who are attending the school at the same time. – All other students in order of closeness of their home to the school. – In exceptional circumstances, compassionate grounds. all the latest Mano News and Photos! 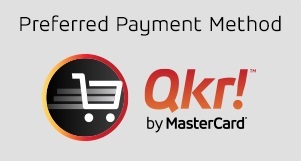 Have you downloaded our Qkr app and need a bit of help with how to use it? Compass School Manager is a whole school administration package. It is used by our school to streamline many operations from attendance, communication, event management and reporting. Compass is our central portal for communication between school and families. Please contact the Office for assistance. HOLIDAY PROGRAM AT MANIFOLD HEIGHTS PRIMARY! 95% of families rated Team Kids the best holiday program they’ve ever used. Team Kids is a multi-award winning holiday program provider for children and teens and running from Manifold Heights Primary school! We provide full-day activities to over 50,000 children aged 5-15 every year. Our programs are perfect for working families or for kids who are just looking for fun activities to do during their holiday break. Please visit www.teamkids.com.au for more information.